A light chiffon cake topped with mango glaze and a layer of whipped cream. The perfect light and refreshing summer cake. So last week I overloaded you with chocolate because that’s what I was craving. Today, though, I have a dessert to satisfy someone else’s cravings. Sweet Zainab is having a baby boy and loves all things tropical. As a result, her big group (seriously, everyone loves this girl and for good reason) of blog friends are throwing her a tropical virtual baby shower! You know I don’t do coconut, and actually, I don’t really bake with tropical fruit all that often so it took me some time to find the right dessert. My first try was a mango shortbread bar but the mango was a bit muddled and it just wasn’t all that great. This cake, however, has a really sweet layer of mango glaze that I love, though, that brings out the bright and fruity flavor. The cake and whipped cream topping surrounding that are super light and really perfect for summer dessert eating. While this wasn’t my typical dessert of choice, I really did like it. It definitely fulfills its obligations of being a light tropical summer treat! Zainab, I wish we could sit down together with a fork and enjoy this cake! I’m so excited for you and all that you have to come. Baby boys are the best (not that I’m bias or anything) and you are going to be such an amazing mom! Scroll down for the recipe and links for everyone else participating in the shower. 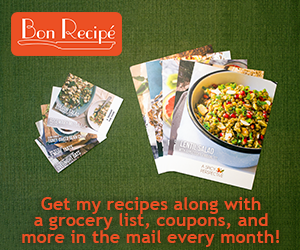 Check out all the other recipes! This cake is SO delicious looking! Totally loving that mango flavour!! Mango nectar?! I love this cake!!!! and thank you so much Lauren for helping us celebrate Zainab today!!!!! What a gorgeous recipe! I just love mango and it’s so perfect for summer. I think Zainab would adore this cake. Thank you so much for being a part of her virtual baby shower! YUM! I don’t bake tropically either but I took a leap for this shower and it turned out well! Your cake sounds amazing! This cake looks delicious, Lauren! I love the mango nectar in the cake and the mango/lime glaze sounds amazing! Perfect for Z’s shower! Mmm what a perfect summer cake. Love the fluffy whipped cream on top! I wish we all could sit down together and eat a slice of this cake! This looks perfect for Z! Such a fun day. The internet is just exploding with tropical treats. I love it! What a marvelous cake! Perfect for a shower! Where do you get the mango nectar? I found it in the ethnic section at my grocery store… They sell it in soda-like cans! Zainab really does have so many people who love her-and with good reason!! this cake looks wonderfully tropical and perfect for Z! What a perfect summer treat! I love how light, airy and refreshing it looks. This would be great for a BBQ! We were totally on the same page with our mango coconut combos! This cake sounds delicious – what a perfect treat to bring to the shower! Yum, this cake looks soo good, and I LOVE that you added mango flavor in this. Wish I can get a slice!